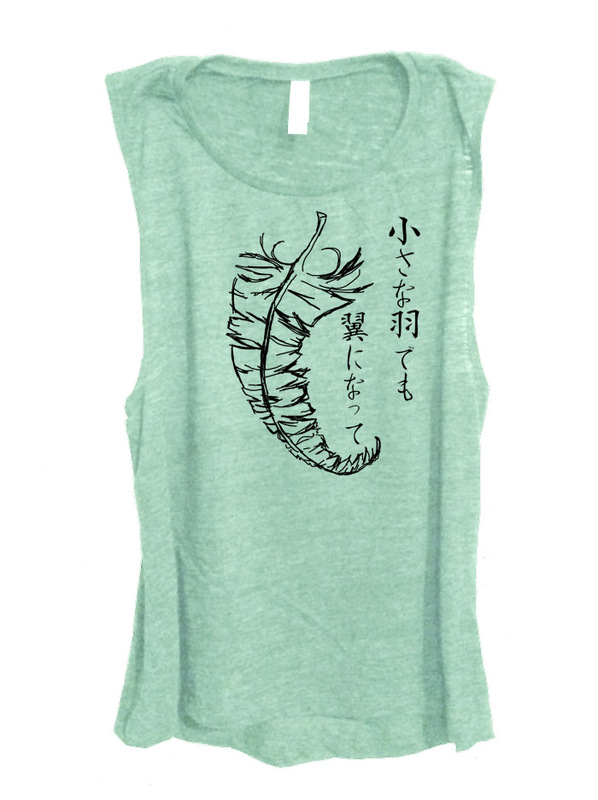 "Small feathers will turn into wings." 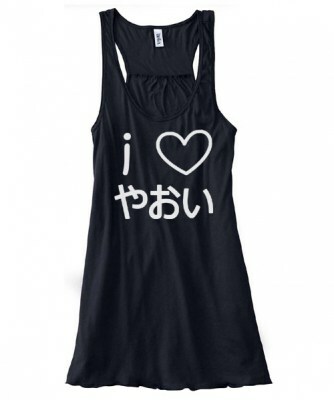 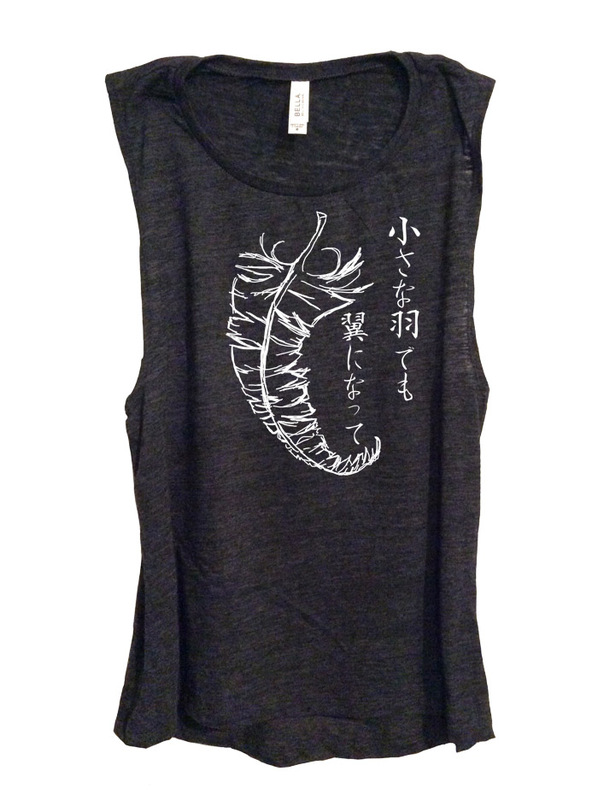 This original quote created for this sleeveless top is written in Japanese calligraphy with a beautifully fringed feather. 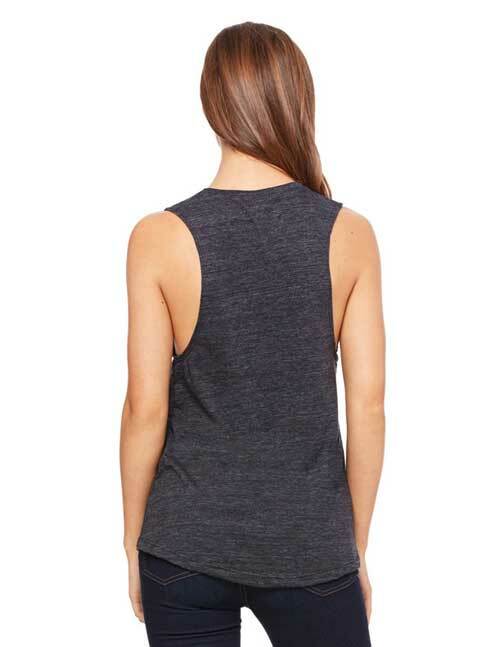 These lightweight, super soft and trendy tops feature a flattering, flowy fit, modern low-cut armholes, and a curved bottom hem. 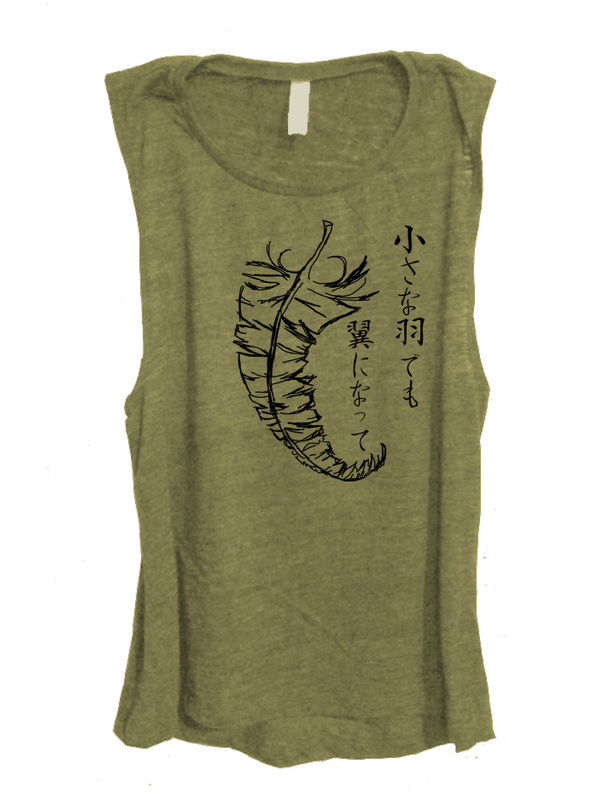 Super versatile, add a delicate Asian touch to your outfit - pair with jeans and dress up with your favorite jewelry, or dress down with a pair of shorts on a hot summer day.